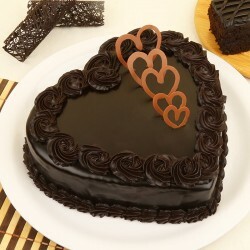 Speak your heart out with our exclusive range of heart-shaped cakes for your special ones. 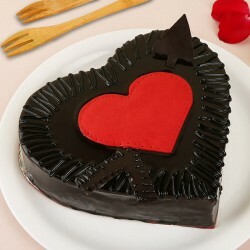 Choose any flavour and get it in a heart shape design to make the best bet. We have many offers and discounts waiting for you to avail. So what are you waiting for? Pick the best one and place your orders with us. There may be plentiful ways to make an occasion special, but nothing can match a surprise cake delivered just at the right time! 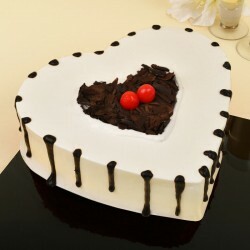 Surprise your dear ones with a heart shaped cake at midnight with midnight gift delivery at MyFlowerTree. 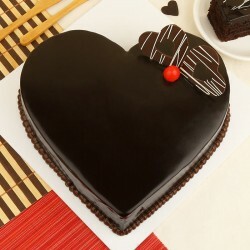 Since cakes are the safest gifts you can send to a loved one, we've an alluring collection of heart shaped cakes which can be customized as per you wish! 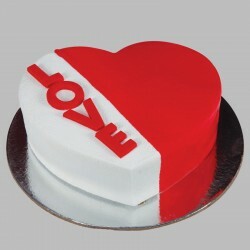 So, if it's your sister's or your beloved's birthday, you don't need to lookout for the best bakery in town! Just visit us and we'll get your cake hand-delivered in the freshest state at the exact time you want it on the recipient's doorstep. 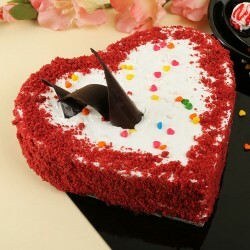 At MyFlowerTree, we offer same day delivery and fixed time delivery options on cakes, flowers and gifts. 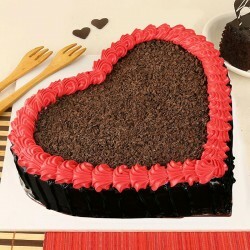 Order a cake from wherever you are to surprise your loved one, anytime and anywhere! Special occasions are meant to be celebrated in a grand way. And can anything be better than to start a special day with a surprise! 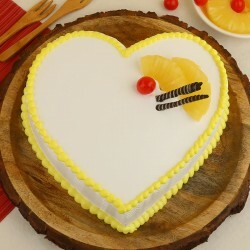 Browse through our fascinating range of heart shaped cakes, which have been specifically created for the special occasions, and order cake online with just a swipe or a click! 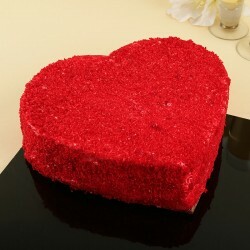 Send Heart Shaped Cakes to Express your Love! A preplanned birthday is clichd, and can never beat an out-of-the-box surprise! 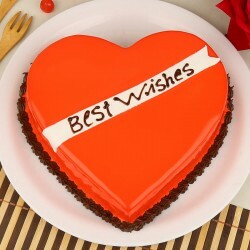 What can be better than sending a heart to someone who holds a special place in your heart! 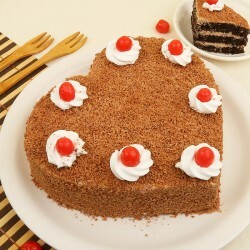 Order heart shaped cake online at MyFlowerTree to express it with a sense of warmth and compassion. The joy of gifting is best experienced with an element of surprise! Order a birthday cake online and type in the address of your loved one; we'll get it hand-delivered at midnight with your personal message. 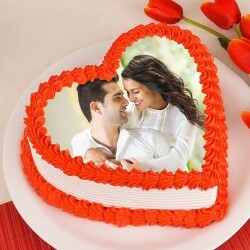 Whether you are looking to send anniversary cake online or just a heart shaped cake, our express delivery across 408 cities in India and 28 countries across the globe will get your love delivered to your loved one across the corners of the world. 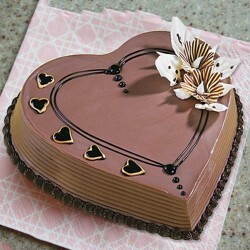 Picking a cake for a friend, family member or partner is not an easy job. We understand that every person is different and every occasion deserves to be made special with a perfect gift. 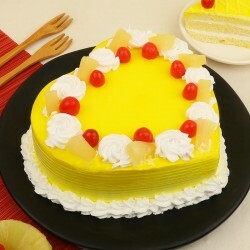 That is why we ensure that there's a wide range of cakes for you to choose from. 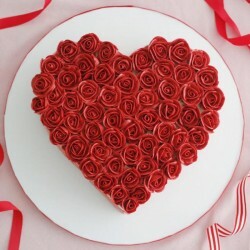 Besides our heart shaped cake delivery, we also have an amazing range of flower bouquets and assorted gifts to send along with the cake. At MyFlowerTree, you can choose from our eclectic range of personalized gifts that add a personal touch to every gift that you send. 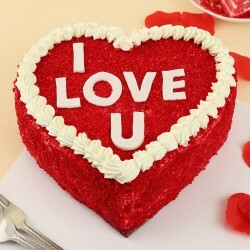 Send cakes in Kolkata or any other city of your choice with your special message on the cake to brighten up someone's day! With a wide range of cakes, flower bouquets and assorted gifts on offer, we want to spoil you for choice when it comes to selecting a gift on MyFlowerTree. Customize the cake You've chosen, pick from the most exquisite of flower bouquet arrangements, and sieve through the potpourri of gifts, all with a range of customization options. Gifting has never been so convenient and fun! Products in this category have been rated 4.6 out of 5 based on 111 reviews.